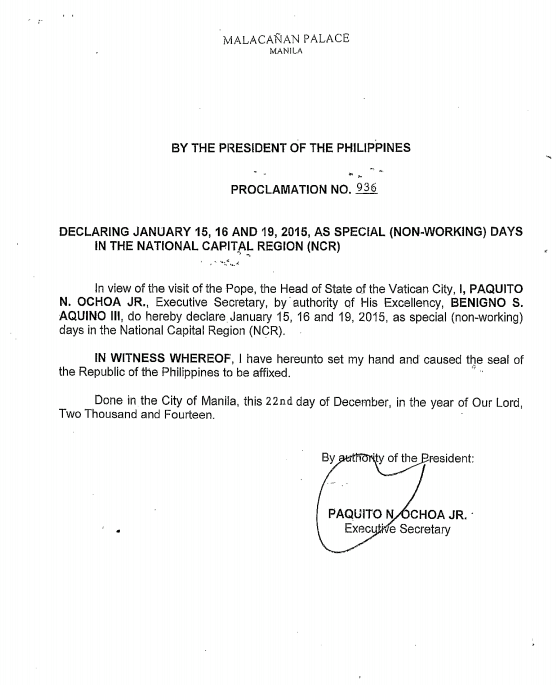 Malacañan declares January 15, 16 and 19, 2015 as Special Non-Working Holidays in National Capital Region (Metro Manila) for Pope Francis visit in the Philippines. In the proclamation no. 936, it declared 3 days of special non-working holiday in NCR only.